On March 12, the Russian Federal Service for Intellectual Property published the registration of a new unmanned aerial vehicle (UAV) with a shotgun embedded into its airframe. 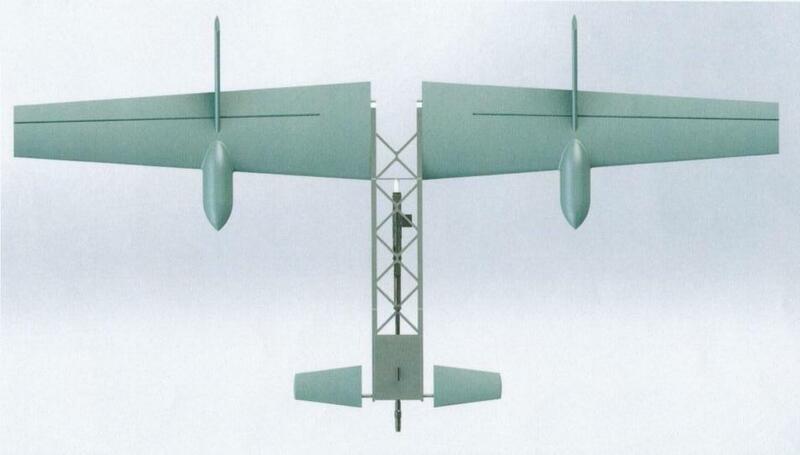 The unmanned interceptor is a "tail-sitting drone," said C4ISRNET news. The drone is classified as a Vertical Take-Off and Landing (VTOL) vehicle, meaning that it can take off and land vertically, and then fly horizontally. It has a wingspan of 10 ft., weighs roughly 50 pounds, and has an impressive flight time of 40 minutes (flight time is dependent on weather conditions). C4ISRNET says the interceptor drone uses a semi-automatic shotgun to blast enemy drones out of the sky. 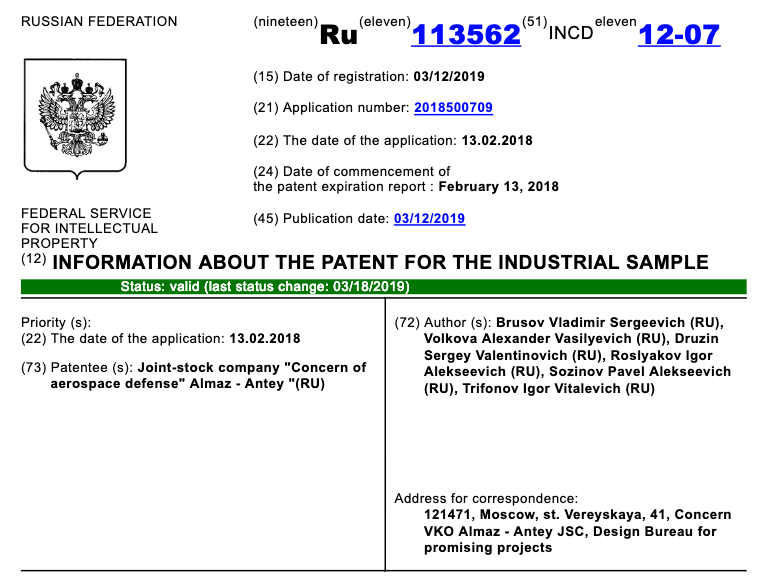 The interceptor patent was granted to the Almaz-Antey defense corporation, a Russian state-owned company, which has been designing the drone for the last several years. “This CUAS drone is in line with in increasing number of technologies and designs created to combat hostile drones,” Samuel Bendett, an adviser at the Center for Naval Analyses told C4ISRNET. “Russians think that it’s important to fight adversary drones not just from the ground via a number of electronic and kinetic countermeasures, but in the air itself. Hence this rifle drone joining the Carnivora cUAS drone." The registration follows several small armed drone attacks on Russian Khmeimim Air Base in Syria. These were the work of jihadists operating out of Idlib, such as Jabhat Fatah al-Sham, who launched the small makeshift drones in an attempt to penetrate Russian defenses, even targeting the Russian naval facility at the Syrian port city of Tartus.